N-Acetyl L-Cysteine (NAC or N-acetylcysteine) is the N-acetyl derivative of the naturally occurring amino acid L-cysteine. And works primarily by helping restore the body’s natural antioxidant glutathione (γ-glutamylcysteinylglycine; GSH). As the most abundant antioxidant in your body, GSH is responsible for maintaining oxidative balance in each of your cells. NAC has been used to treat acetaminophen poisoning for decades. [ii] Every year there are 56,000 ER visits from Tylenol overdose, resulting in at least 100 deaths. [iii] NAC provides the glutathione your liver needs to fight off the metabolite NAPQI in Tylenol that does severe liver damage. As a nootropic, NAC helps prevent glutamate toxicity, boosts dopamine, and reduces inflammation, oxidative and free radical damage. Neuroprotection. NAC as a precursor of glutathione, is a potent antioxidant, anti-inflammatory and free radical scavenger. [iv] Your brain is especially vulnerable to inflammation, free radical and oxidative damage. Affecting cognition, long-term potentiation, memory and mood. Anxiety and depression. NAC reduces irritability, anxiety and depression. NAC increases your body’s antioxidant capacity, and balances excitatory and inhibitory neurotransmitters in your brain. Resulting in less anxiety and depression. How does N-Acetyl L-Cysteine work in the Brain? How does N-Acetyl L-Cysteine feel? N-Acetyl L-Cysteine (NAC) is the N-acetyl form of the naturally occurring amino acid L-Cysteine. L-Cysteine is naturally produced in your body using the amino acid methionine. You can also get L-Cysteine from eating ricotta and cottage cheese, yogurt, pork, chicken, turkey, duck, wheat germ, granola and oat flakes. But acute stress, illness, or a poor diet can deplete L-Cysteine levels in your body and brain. The quickest and most efficient way to boost levels of L-Cysteine is to supplement with N-Acetyl L-Cysteine (NAC). NAC regulates the amount of glutamate in your brain. 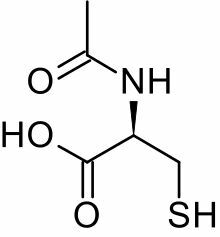 Glutamate is a neurotransmitter that is responsible for sending signals between neurons in the brain. This plays an important role in learning and forming memories. But too much glutamate can be toxic to brain cells. NAC regulates the amount of glutamate and keeps it at safe, healthy levels. NAC influences the amount of dopamine available in your brain. It works to keep dopamine receptors healthy and able to transmit and receive dopamine. These neurotransmitters are crucial for cognitive energy and drive, motor control, feelings of pleasure, and focus. NAC is a precursor to the powerful anti-oxidant glutathione (GSH). GSH is a potent anti-inflammatory, anti-oxidant and free radical scavenger. 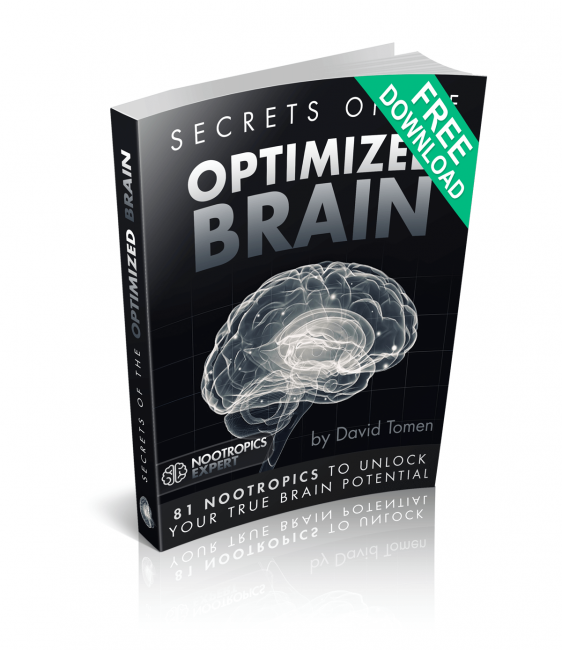 Your brain is especially vulnerable to inflammation, free radical and oxidative damage. If left unchecked, inflammation, oxidation and free radicals can negatively affect cognition, long-term potentiation, memory and mood. As a nootropic, NAC can boost glutathione and dopamine levels in your brain. NAC is also used by medical professionals to treat serious cognitive disorders like schizophrenia, bipolar disorder, severe depression and anxiety. N-Acetyl L-Cysteine boosts brain health and function in several ways. But two in particular stand out. N-Acetyl L-Cysteine reduces oxidative stress. Oxidative stress results in free radical damage in brain cells. Leading to neurodegeneration and ultimately Alzheimer’s, Parkinson’s and other age-related neuronal disorders. Proteins and DNA are injured, inflammation, tissue damage and cellular apoptosis (cell death) are the result. And neurohackers are not immune to oxidative stress no matter what your age. Keep this in mind the next time you reach for a Diet Coke. Consumption of the artificial sweetener aspartame induces cortical inflammation and oxidative stress. Researchers did a study with 30 adult male Wistar rats randomly divided into 3 groups. The control group received distilled water. The second group was given aspartame. And the third group was given aspartame and NAC. Oral administration was done in the morning daily for 90 days. The study found that NAC affected Brain-Derived Neurotrophic Factor (BDNF) levels, blocked the COX-2 and PGE2 inflammatory enzymes, and reduced the expression of interleukin-6 (IL-6) and tumor necrosis factor-α (TNF-α) inflammatory cytokines in the rat cerebral cortex. They also found that NAC replenished glutathione levels. N-Acetyl L-Cysteine relieves depression. 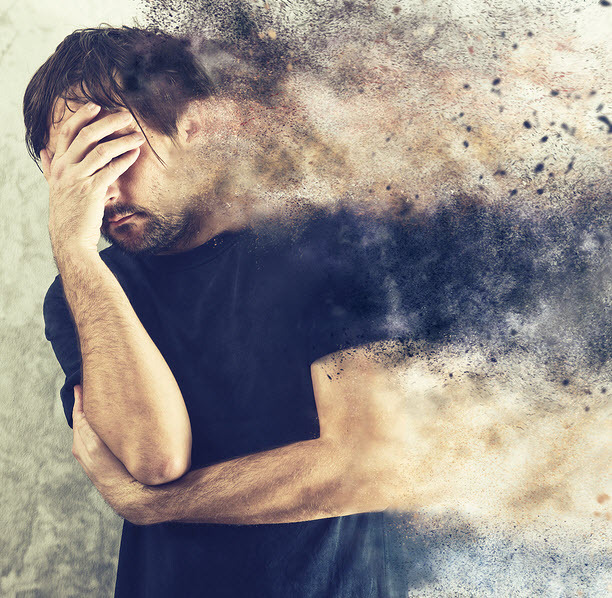 Major depressive disorder is one of the most common psychiatric disorders. It’s a burden on the individual, family and the community. And the pharmaceutical companies are making literally billions on selling various anti-depressants. Not treating the cause, producing a host of side effects, and in most cases just ‘dumbing down’ the symptoms. But the pipeline for new anti-depressant drug discovery is at a near stand-still for treating problems like schizophrenia, bipolar disorder, depression and common forms of autism. The good news is that neuroscience continues to work on the problem. And have shown that many of these disorders share inflammation and oxidative stress as part of their disease physiology. Neuroscientists also discovered that associated pathways causing these diseases include a reduction in proteins that stimulate neuron growth (neurotrophins), increased apoptosis (cell death), and reduced energy generation in mitochondria. As we get older or suffer from chronic illness, our brain and body chemistry and energy metabolism changes. All of these changes are often attributed to chronic illness, lifestyle choices, and aging. Unchecked, they could lead to neurodegenerative diseases like Parkinson’s, Alzheimer’s, major depression, schizophrenia, OCD, addictions, autism, and a drop in quality of life. 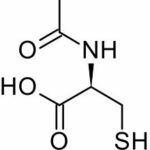 N-Acetyl L-Cysteine (NAC) is a slightly modified version of the sulfur-containing amino acid L-Cysteine. When taken as a supplement, NAC replenishes intracellular levels of the natural antioxidant glutathione (GSH). Restoring your cells’ ability to fight damage from reactive oxygen species (ROS). Conventional medicine has used NAC for decades as an inhaled mucous thinner to treat symptoms of cystic fibrosis. NAC is given intravenously (IV) or orally as a treatment for acute acetaminophen poisoning. NAC quickly restores glutathione levels, averting permanent disability or death. The nootropics community has recently discovered NAC as a way to suppress inflammation in the brain. NAC prevents oxidative stress on brain cells, eliminates free radicals, restores Brain-Derived Neurotrophic Factor (BDNF), rejuvenates dopamine receptors, and improves overall cognitive function. NAC can help boost cognition, Long-Term Potentiation for long-term memory formation, short-term and working memory, improve your mood and quell anxiety. Treatments for Parkinson’s Disease are limited to replacing dopamine in the brain. As well as some medications designed to slow down the disease. In 2016, researchers at Thomas Jefferson University showed that oxidative stress in the brain could play a critical role in the progression of Parkinson’s. And this stress lowers levels of glutathione, a compound produced in the brain to counteract oxidative stress. Studies show that N-Acetyl L-Cysteine (NAC) helps reduce oxidative damage to neurons by helping restore the levels of the antioxidant glutathione. In this study, Parkinson’s patients were placed into two groups. The first group received 50 mg/kg NAC intravenously (IV) once per week. And 600 mg of NAC as a supplement twice a day on non-IV days. The second (control) group received only their standard Parkinson’s treatment. Patients were evaluated at the beginning of the study and again 3 months later. The evaluation consisted of the Unified Parkinson’s Disease Rating Scale (UPDRS), and a SPECT brain scan which measures the amount of dopamine transporter in the brain. Traumatic brain injury (TBI) is a major public health issue affecting 1.7 million Americans each year. [ix] TBI can be caused by sports injuries, work accidents, car and motorcycle accidents, falls, and your wife hitting you over the head with a frying pan. A major cause of TBI comes from blast exposure on the battlefield. Symptoms are similar to other causes of TBI; dizziness, hearing loss, headache, memory loss, sleep issues, and neurocognitive dysfunction. 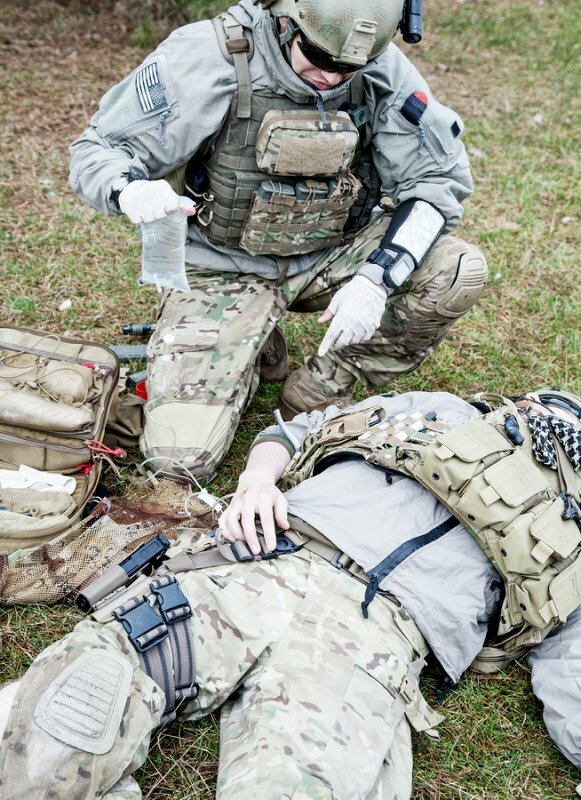 This double blind, placebo-controlled study was conducted with 81 active duty service members at a forward deployed field hospital in Iraq. All service members in this study were exposed to significant ordinance blast and met the criteria for TBI. Service members were randomly assigned to receive either a placebo or N-Acetyl L-Cysteine (NAC) for 7 days. The resolution after 7 days of all the TBI symptoms listed above was the main outcome measure of this study. Both depression and bipolar disorder are complicated by glutathione depletion. The researchers in this double-blind, multicenter, placebo-controlled study worked with 75 subjects with bipolar disorder. Subjects received 1 gram of NAC twice daily for 24 weeks. NAC treatment caused a significant improvement with depression with those using NAC. N-Acetyl L-Cysteine (NAC) suggested dosage for cognitive benefit is 600 mg 3-times per day. Clinical studies have found that doses up to 2,000 mg per day are safe and effective. N-Acetyl L-Cysteine (NAC) is the N-acetyl form of the naturally occurring amino acid L-Cysteine. NAC is considered non-toxic and very safe. NAC is a slightly modified version of the sulfur-containing amino acid L-Cysteine. So NAC in powder form can have an unpleasant smell. Very rarely can NAC cause nausea, vomiting, diarrhea or constipation. Even more rare are rashes, fever, headache, drowsiness, low blood pressure and liver problems. Side effects can be a result of very high doses of NAC. And if you have a genetic condition called Cystinuria do not use NAC. This rare condition causes stones to form in the kidneys, ureter and bladder from cysteine. NAC is the N-Acetyl form of Cysteine. One study has also found that long-term use of high-dose NAC can deplete your body’s stores of zinc. So if you are using NAC everyday you should also supplement with zinc and low dose copper. N-Acetyl L-Cysteine is available in powder, tablet and capsule form. NAC capsules and tablets are usually 600 mg. Some supplement makers add other compounds to their formula. So ensure you read labels carefully. And stick with manufacturers who follow Good Manufacturing Practices (GMP). And are GMP-Certified. We highly recommend using N-Acetyl L-Cysteine (NAC) as a nootropic supplement. Your body does synthesize some L-Cysteine from methionine. And you can get L-Cysteine from foods such as dairy, poultry, pork, and some grains and nuts. But most of us don’t get enough N-Acetyl L-Cysteine from our diet. So supplementation will help. And N-Acetyl L-Cysteine is a highly bioavailable form of L-Cysteine. So you should feel its effects faster. NAC is helpful for most neurohackers to improve mood, memory, cognition, and concentration. And NAC helps alleviate brain fog, anxiety, and irritability. NAC is especially helpful to those dealing with Obsessive Compulsive Disorder. And stacked with ADHD meds, NAC helps alleviate some of the negative side effects associated with stimulants. You can safely use up to 1,800 mg of NAC per day. The usual dose for cognitive improvement is 600 mg. dosed 3 times throughout your day. David, I am allergic to antibiotics that are made from sulfa. Tammy, please read this page on Medscape on this subject. Specifically the 5th paragraph > http://www.medscape.com/viewarticle/870347#vp_2. According to Medscape, cysteine is a sulfa-containing amino acid. And is not allergenic in patients with antimicrobial sulfonamide hypersensitivity. It also provides a link to the clinical study supporting this statement. Hope this helps. What do you think about “Milk Thistle” ? Recently, they have found that the silymarin in Milk Thistle, not only helps protect the liver, but more recently they found it reduces the inflammation in the lungs and can reverse some of the effects of Emphysema (COPD) and fibrosis ? Do you know anything about this? Also the milk thistle from Life Extension or others like Dr. Mercola use it with N-Acetyl L Cysteine which protects the liver from alcohol and has a detoxifiying effect ? Can it also (either one also work on the endothelium of heart muscle in any beneficial way ? Dr. Wisotsky, I personally use Milk Thistle to help boost the absorption of Berberine. And it has been shown to help prevent possible telomere shortening/DNA damage caused by long-term Berberine use. I use Berberine to prevent insulin resistance. I have not done a review on Milk Thistle because Nootropics Expert is devoted primarily to brain health and optimization. But Milk Thistle has plenty of research for liver detox, anti-inflammatory, anti-tumor and antioxidant benefits. In this case I defer to Life Extension, Dr. Mercola, and Examine.com for extolling all of Milk Thistle benefits. David, my son won’t take meds for his bipolar 2 disorder after he experienced bad effects from them. After tons of research, I recommended NAC 2000 per day and magnesium glycinate 400mg a day which he says is really helping with the racing thoughts, depression and spacing out the hypomania episodes. Is there any possibility NAC will stop working at some point? Or is there a supplement that could prevent that from happening? Thanks in advance! Jeanne, you cannot build a tolerance to NAC that I’m aware of. I’ve been using it every day for years with great results. Please use the search function top right on this page in quotes for “bipolar disorder” and “bipolar”. And see what turns up. And take close look at Lithium Orotate, zinc, CBD Oil, and possibly Methylene Blue among others. Start with the nootropic supplements you can easily get on places like Amazon or your local vitamin shop. Try one at a time and see how your son responds. You should see results within a day or two if it works. If it doesn’t then try the next one. Thank you, David. I have one more question; I’ve read that NAC can cause kidney stones when taken long term so it should be taken with equivalent or higher doses of vitamin C to prevent it. Do you agree? Jeanne, someone somewhere sounded the alarm about NAC and kidney stones. And once it was out there in the wild every blogger who does not do their research simply parrot what someone else said. I can find zero clinical evidence that N-Acetyl L-Cysteine causes kidney stones from long-term usage. If someone can point directly to that research I would appreciate it. And would love to update the potential side effects section of this review. One thing I did find since writing this review is the potential for long-term usage of NAC depleting zinc. https://www.ncbi.nlm.nih.gov/pubmed/1529808. So if you are using NAC everyday and long-term you should also be supplementing with zinc and very low dose copper. I will update this review to include this research. Bhaskar, NAC is likely an excellent choice for your son. I have Adult ADD and use NAC twice per day with great results. The nootropics I mention in the ADD post have been proven to help reduce the symptoms of ADD and ADHD. They work for me and thousands of others with ADD and ADHD. Including coconut or MCT oil, DHA (Omega-3), ALCAR and NALT. The NALT in this case would replace the L-Tyrosine you are currently using. When I take NAC, I get what I call “brain burning.” This happens even at the smallest doses. Can you explain why? Thank you! NAC is a very potent method of increasing the major natural antioxidant in your system called glutathione. Antioxidants go after and eliminate reactive oxygen species (ROS). If your brain is low in oxidative stress (i.e. low ROS) then NAC could be too much for you at any dose. This is speculation on my part because you don’t mention the exact dose of NAC you are using, other medications or medical conditions. Here is a very comprehensive report on NAC > https://www.ncbi.nlm.nih.gov/pmc/articles/PMC3967529/. Scroll down to the section called, “Pharmacokinetics and side effects” for more on possible NAC side effects. Can i put NAC in my current stack: Alpha-Gpc, Bacopa Monnieri, vinpocetine, L-theanine and Ginkgo Biloba? PS: current stack within recommended dosage. I alter the stack per convenience. Appy, you can definitely add NAC to your stack. Just follow the dosage recommendations for NAC in this review. Dosage instructions apply to everything else in your stack because each has a separate function in your brain. See dosage in each individual review. When I first tried this I found it made me very angry and I am not typically at all, which is strange cause most say it has the opposite effect. I switched to a time released version that does not seem to have that anger effect on me and have been taking 600 2x per day for about 6 months. It does not have any noticeable effect so far either though. Do you know if the time release is a good thing for NAC or does it lower efficacy? Rebekah, NAC boosts dopamine levels which is likely what caused anger issues when you first tried it. If NAC is released slowly and you do not react it means that it didn’t ‘dump’ dopamine and norepinephrine into your system and cause a negative reaction. I think the most important function of NAC is boosting glutathione and increasing your antioxidant levels. While this will not produce any noticeable immediate sensation, you’ll likely find that you won’t get sick as often. thank you so much David. I will continue with the sustained release and increase dosage to 600 3x per day instead of 2 and see what happens. cheers. I was diagnosed with Parkinson’s in the spring of 2012. I have also been diagnosed as bi-polar for myears. At the time of my Parkinson’s diagnosis my psychiatrist recommended I start tacking NAC. I started at the dosage of 600mg a day. I live in a small city west of Memphis in Arkansas. On three occasions since my diagnosis and most recently in April of this year I temporarily stopped taking it due to my failure to travel to my source in Memphis. Each time I ceased taking NAC my Parkinson’s symptoms got noticeably worse. This linkage really did not connect with me till this most recent period. During the most recent period I had moments when I could hardly walk. Each time I have restarted the NAC my Parkinson’s symptoms got better. After this last period l found a source for 1,000mg tablets on Amazon. I started taking one tablet a day. Within a week my symptoms returned to the status before cessation. I then noticed the that the bottle said I could take up to 3 tablets a day. That would be 3,000mg a day. It seems that since I started this regimen my symptoms have been remarkably reduced. As you can tell I am in a more is better phase. 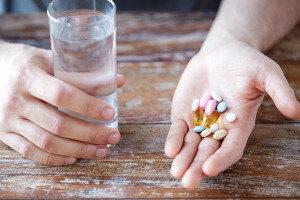 Do you think there is a danger in taking 3,000mg a day? Can you recommend a source for the zinc and copper? By the way my Bi-polar symptoms have gotten much better, too. Jim, you are another testament to the power of nootropic supplements. And your description of alleviation of symptoms just verified what I found in clinical trials when researching this article. I’ve been using 2,000 mg of NAC daily for years so you should not have any problems with 3,000 mg. But studies do show that long-term heavy usage of NAC depletes zinc. 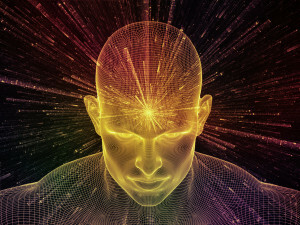 Please see this post I wrote on minerals for the brain and pay particular attention to the very last section: https://nootropicsexpert.com/13-minerals-essential-for-the-optimized-brain/. It’s critically important to use the correct form of these minerals. Find a “chelated” version, or one that is made using yeast. Albion minerals is a good source and any manufacturer who uses their minerals. Blue Bonnet comes to mind. You’re going to need more than the RDA so please check out the individual review for zinc here: https://nootropicsexpert.com/zinc/. And don’t forget about the copper! Do you recommend 50mg of zinc and 2mg of copper. I have severe osteo arthritis in one hip – dI am now on NAC and have found pain has been eased. 1000mg works best for me. How owuld NAC reduce pain? could you explain? Uma, pain is often a result of inflammation. NAC is a precursor to the powerful anti-oxidant glutathione (GSH) which is a potent anti-inflammatory. It’s possible you have less pain because of reduced inflammation. When is the best time to take NAC, 1/2 hr before food/after food, on an empty stomach? I’ve only just started taking NAC – this is for neurological damage / bipolar disorder / anxiety / depression. The label on the back of the bottle (1000mg) says take 1-3 daily. So I opted with 3000mg, I don’t know if that’s too much to begin with but that’s what it says on the label… Can you take the 3 all in one go or is it best to take it at different times of the day? I’m also told to take it in conjunction with vitamin C in equal amount. Someone who knows a lot about this sort of thing told me 5000mg of vit c is the kind of amount that actually helps and does something more overtly positive to your body. So I opted to take 5000mg of it with NAC at the same time. Last question, how long does it take to experience any discernible differences, how long does it take to kick in etc? My research shows NAC is safe to use up to 1,800 mg daily. So if they are 1,000 mg tablets I suggest taking one in the morning and one before bed. Research also shows that high dosages of NAC can deplete stores of zinc in your body. So you should be supplementing with additional zinc and low dose copper. I’ve not seen any research on NAC being more effective with the use of Vitamin C. But it certainly wouldn’t hurt. 1 – 2,000 mg of Vitamin C with each dose of NAC. I am 39 years old man, i was diagnosed with Adhd, as a kid. I took ritalin from 7 to 11 years old , then i did all my life without going back to my adhd diagnosis! I was able to study and become a computer technician and have my Adhd brain ( Multitask) work well for this job!But i find recently in the last 2 years, that i also struggle with other smal behavior issue that come with adhd, impulsivness, not always listening in a conversation , cutting the person in a conversation, a lot of good and high energy days, but sometime days when i feel off, common thing in a ADHD brain…! So that has cause me some stability issue ( jobs friends)etc.. in my life as well as sometimes racing taught..! I found out that adhd is a familly issue… 85 % of the people who have ADHD does not know about it, are Add are ADHI, which is the third one, the i stand for impulsivness, as you get older your personality crystalyse..My dad was a Physical Education teacher and he had ADHD all of his life without knowing it… and left untreated to… I have a cousin she is a psychotherapist and has ADHI, SO IT runsns in my familly, my mom has also mild form of adhd, both my parents overcome some of their issue in life and became teacher… But in those days it was a lot undiagnosed and left untreated..
2 years ago i went back to that diagnosis, and recently with all my studies on the case, i went on Omega 3 + i take L-Pheynylaline + l-tyrosine together + i also take lysine for working out but as anti anxiety as well it help me control the boost from l-phenylaline and l-tyrosine! I also take Subnflower Lecithin, because it is known to have a better dha absortion to the brain and is a source of choline! I take b vitamin also! I also take l-proline but it’s for joint and prevention of good heart health etc…I take -l-Citruline also for working out! I take curcuma also and glocosamine and msm for the joints! I saw all great benefith from all this in my mind and body! 3- My question is :” Why in you ADHD stack do you take Alcar and Nalt instead of NAC ( n-acétylcystéine)? Which is the better ACEThyl-ltyrosine ? ( so i stopp my l-tyrosine) are NAC ( n-acétylcystéine) here ? I heard NAC IS GREAT FOR ADHD ? So why d’ont you take it in your adhd stack but instead have ALCAR AND NALT ? Gabriel, I use N-Acetyl L-Cysteine (NAC) because it helps repair dopamine neurons. But it does not directly boost dopamine like NALT or L-Tyrosine. And I use ALCAR because it helps boost acetylcholine and the flow of information into and out of brain cells. Some find that NALT works better and some find that L-Tyrosine works better for dopamine. Try each separately and see which works better for you. I suggest going to this post: https://nootropicsexpert.com/best-nootropics-for-adhd-add/ and clicking through to each nootropic. Near the top of the post is a summary of how that supplement works in the brain. I also suggest you try something like Alpha GPC or CDP-Choline for boosting acetylcholine. Sunflower lecithin is not a good source of choline or DHA. And you may want to change out your Omega-3 to a supplement that is higher in DHA and provides 1000 mg of DHA per dose. Back again. Are so actually saying NALT and L-Tyrosine replace dopamine? L-Tyrosine, ALCAR, and either Alpha GPC or CDP-Choline, along with zinc and copper? Jim, N-Acetyl L-Tyrosine and L-Tyrosine are precursors to the synthesis of dopamine. So they give your brain the ingredients needed for the production of dopamine and the other catecholamines. You can use one or the other. It’s not necessary to use both. But like with all nootropics, please make sure you are clear on drug interactions and avoid combining certain nootropics with prescription meds where the combo could cause harm. NAC worked great for a few days to boost energy, then it seemed to stop working. Why would that be? Is that a common reaction? John, NAC is not known or used for increasing energy levels. You may have experienced more energy for a short while because higher glutathione levels helps repair dopamine neurons and receptors. You’ll need much more than a single nootropic to increase energy levels. You need to give your brain more of the nutrients it needs for fueling ATP in mitochondria, increasing neurotransmitters (like dopamine and norepinephrine), increasing blood flow to provide more nutrients and oxygen to brain cells. Thanks. I’ve been trying PQQ as well. It seems to be working. I’ve also tried B complex. It doesn’t seem to boost energy at all, but it may have other benefits. I also tried CoQ10, wasn’t a big fan, didn’t seem to do anything. Another thing to try is the new Performance Lab Energy that contains PQQ, CoQ10, Acetyl L-Carnitine (ALCAR) and R-Lipoic Acid: https://nootropicsexpert.com/performance-lab-energy-review/. One of my favorite new nootropic stacks. Can you explain in more detail how using NAC can “protect dopaminergic nerve terminals from chronic methamphetamine use”? Also, do you have any recommendations of nootropics that can aid in stopping the use of and recovery from meth use? I have read in online forums that Semax and Memantine can be helpful in regards to this issue. Neither, however, are on your list… what are your thoughts on those? Thank you so much for your reply…. and for this website! Trevin, NAC is a potent antioxidant primarily because it’s a precursor to the glutathione which is considered by many to be the master antioxidant in your body. This study done in Japan with monkeys showed that NAC helped their brains recover from methamphetamine neurotoxicity: https://www.ncbi.nlm.nih.gov/pubmed/15542721/. So it would make sense that it should work in humans as well. I’ve been using Ritalin for nearly 12 years and use NAC daily. And have not suffered from any type of dopamine receptor damage normally associated with stimulant use. Semax and Memantine are considered prescription drugs which is the reason I’ve not reviewed them here on Nootropics Expert. And never will. 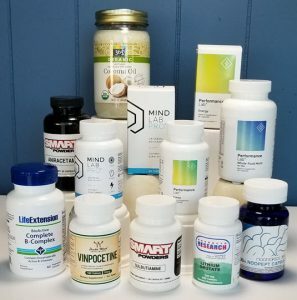 Because our policy here is to stay as close as possible to natural nootropic supplements that can easily be purchased by most anywhere in the world without a prescription. Hi David, you mentioned that you take NAC daily but its not in your post “What I Take”, have you stopped taking it. And if yes why? Graeme, I do use NAC daily and guess I forgot to include it in my post on “What I take”. Thanks for the headsup! I appreciate when you guys keep me in line. I’ll add it today. Fluoxetine – 40mg (morning), 40mg (noon). Buspirone – 10mg (morning), 10mg (noon), 10mg (night). Acetyl L-Carnitine (ALCAR), Alpha GPC, N-Acetyl L-Cysteine, N-Acetyl L-Tyrosine, Curcumin. Please advice whether above supplements would be suitable, keeping in view the prescription medicines she is already taking. Ratan, your daughter will likely continue dealing with these side effects no matter what nootropics you try. It’s like trying to plug a big hole in the bottom of a boat with a wine cork. This is heavy duty medication that has a major impact on how the brain functions. The best way to check for contraindications with prescription meds and natural nootropic supplements is to first learn the exact mechanism of action of each drug. Wikipedia is good place to find that information because it is usually easy to understand. 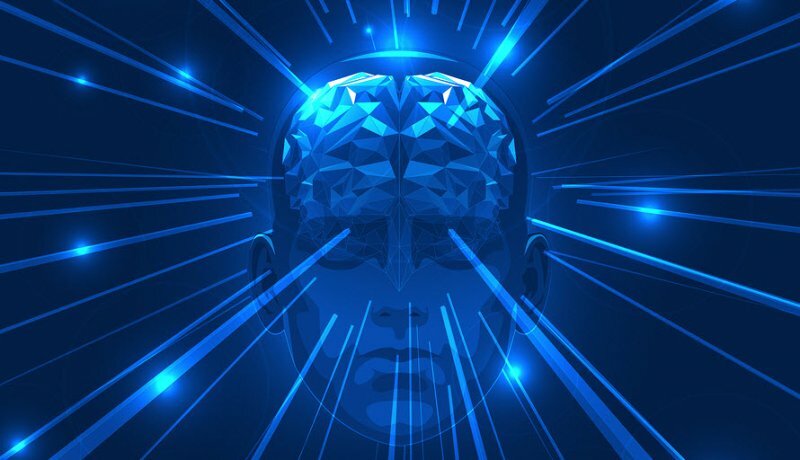 Then compare the mechanism of action of each drug with the mechanism of action for each nootropic as described in each review here on Nootropics Expert. 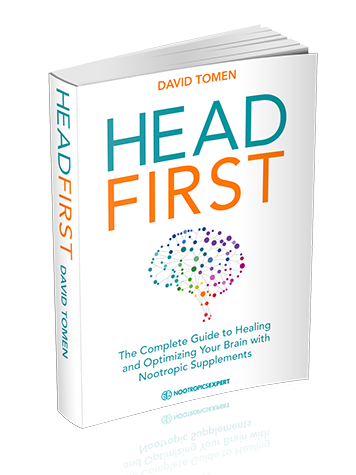 The biggest red flag is when a drug and nootropic do the same thing or affect the same part of the brain. That amplifies the effect of the drug and could lead to life threatening problems. Next, search the contraindications for each drug here > https://www.drugs.com/drug_interactions.html. That website provides interactions between prescription drugs as well as dietary supplements. Is it fat or water soluble? The specialist treating my Bipolar has highly recommended NAC since there are a mass of studies on it specifically for mood disorders. We’re testing NAC as stand alone with the lower doses of psychotropics I’m using. Specifically to enhance mood, lift brain fog and curb anxiety. I feel I have noticed these positive effects almost immediately. My dose is 600 mg 3 times per day. But I’ve heard elsewhere that folks are saying NAC is either not safe to use in those doses or that it’s better to use Glutathione. I trust your opinion so was hoping to hear your thoughts on these assumptions I’ve heard elsewhere. Gabriella, my research is based on clinical studies and my personal experience. As you noted in your comment there have been a “mass of studies”. NAC as a precursor to glutathione is more effective that dosing with glutathione. So please be critical of everything you read on the Internet and in books. And base your decisions on real evidence. Not what others are saying. I have only recently started taking NAC, but am alarmed to read in several places that you should not take it if you have mercury fillings because this could result in mercury ending up in your brain. As I have quite a lot of mercury fillings, in your opinion, should I stop taking the NAC? Ellie, this is news to me. Please point me to an authority site like PubMed or other peer-reviewed site that provides evidence of this. And I’ll gladly update my Side Effects section in this review. Thanks for your response. Apologies, but I may have overreacted. Having looked into this further none of the mentions I’ve seen are from authoritative sites like PubMed, so what I have seen may have been based on supposition rather than fact. I am currently studying nutrition, and this has been a great place to use for research purposes, so thanks. I have 2 questions, firstly does NAC help with someone trying to stop taking drugs, like cannabis and alcohol? Or should they consider some kind of detox approach? Second, would you recommend someone like myself to supplement with NAC even though I don’t currently have any particular health issues, except my GGT levels are slightly high (tested using Kinesiology in class). Deni, I would suggest using NAC while detoxing because it helps boost glutathione and dopamine. I think NAC is a great supplement for most people because it helps increase glutathione. I personally find that when using NAC and while others around me are getting sick with the flu or a cold I manage to stay well. And BTW, Lithium Orotate, L-Glutamine, SAM-e, Picamilon, L-Carnosine, and Aniracetam have all been used one way or another in the treatment of alcoholism or the damage caused by alcohol. Check out the reviews of each of these nootropics because at least one or two as I recall helps in relieving cravings for alcohol and some other drugs. Not sure about cannabis however. In my country NAC is available in a form of effervescent tablets (600 mg), indicated for mucolytic therapy. Same nootropic benefits as other forms? Aleksandar, it should be the same supplement. Double check the label to make sure. What do you think about the new sustained release version of NAC? It’s a product by Jarrow Formulas? 600mg 1/3 quick release, 2/3 Sustained Release? Dan, “Other Ingredients” is the problem with Jarrow’s Sustained release NAC. I personally prefer a supplement that contains only the ingredient I want and nothing else. I want to know drug use in schizophrenia patient. Are you asking if NAC is safe to use with a schizophrenia patient?